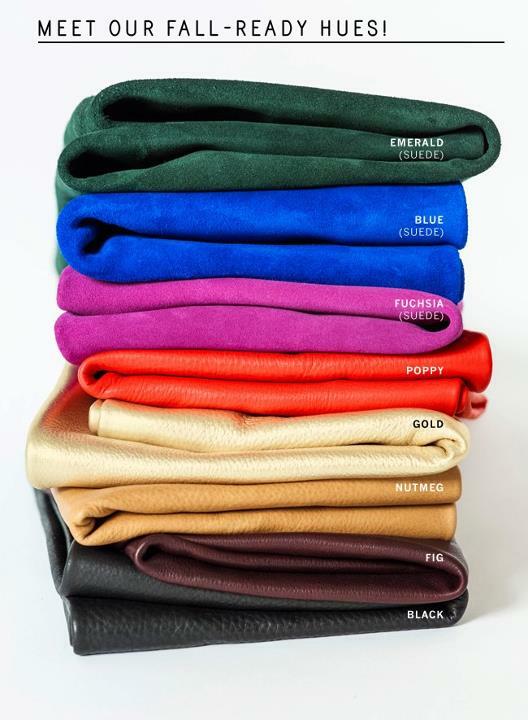 I am loving the new fall colors for Baggu. They have expanded their leather line by adding suede options. I am particularly coveting the blue (suede) and fig (leather) perhaps an early Christmas present?